For a young player who had grown up at one of the world’s best clubs, sleeping on a mate’s sofa in Greece was something of a culture shock to Febian Brandy. 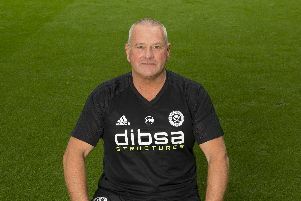 But, as Sheffield United’s newest signing says, that short spell at Panetolikos made him even more determined to re-establish himself in English football. “I had a year and a half of not playing football, after a few injuries,” Brandy, one of four players to join United yesterday alongside Stephen McGinn, Sean McGinty and Jasper Johns, told The Star. “I had a call from an agent, who had a club lined up for me in Greece, so I went out there just hoping to play some football. “They promised me a house, a car, but I didn’t even get a wage in the end, and I had to sleep on a mate’s couch. “I had to ask them for a bed and some money to live on - not a lot to ask, really. Brandy eventually signed for Walsall, and scored seven goals last season as the Saddlers made a late charge for the League One Play-Offs. “In a way, last season was a make-or-break situation for me at Walsall,” Brandy added. “If I didn’t do well, people would think that was it - I had gone. “But we had a good season, and it gave me confidence in my own ability. “I’m a strong minded person, but some people could have crumbled in my position. “It’s football or nothing for me - it’s all I want to do. “I’ve had offers since from teams in Russia and America, but I think I have a lot still to offer the English game. n United, meanwhile, will invite New Caledonia youngster Mickael Partodikromo to join their youth academy next month.